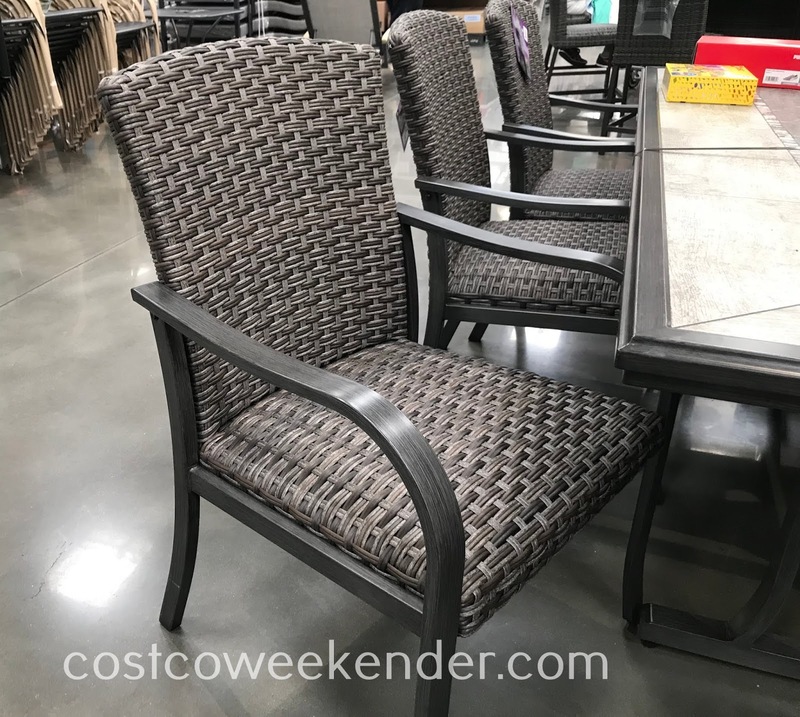 It may still be storming where you are but spring is just around the corner and before you know it, summer. 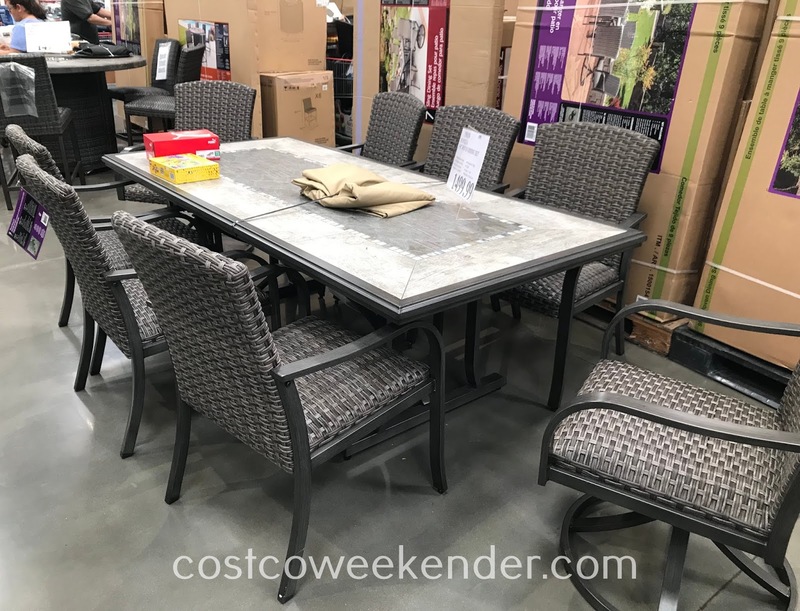 So now may be a good time to consider your outdoor space and to prepare for your next barbecue or backyard party. 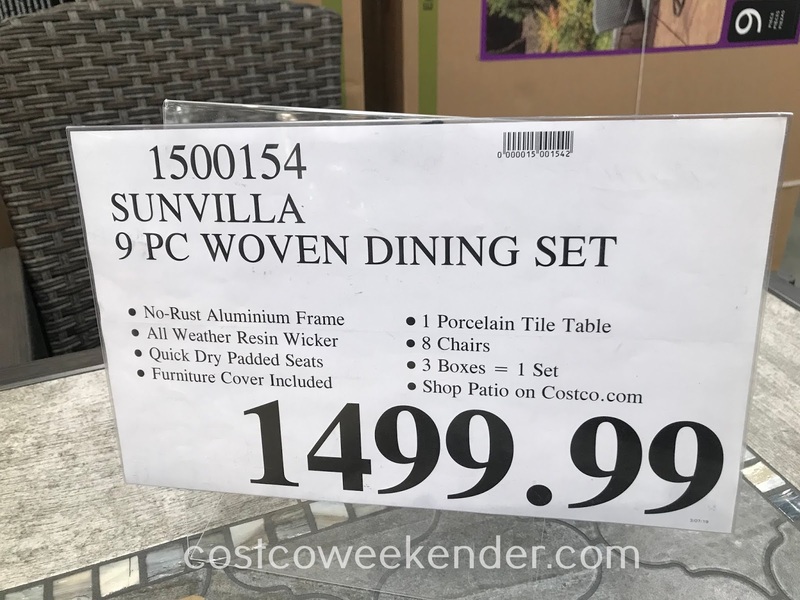 Consider the Sunvilla 9-piece Woven Dining Set from Costco which offers are very large table with 8 chairs, 2 of which swivel. 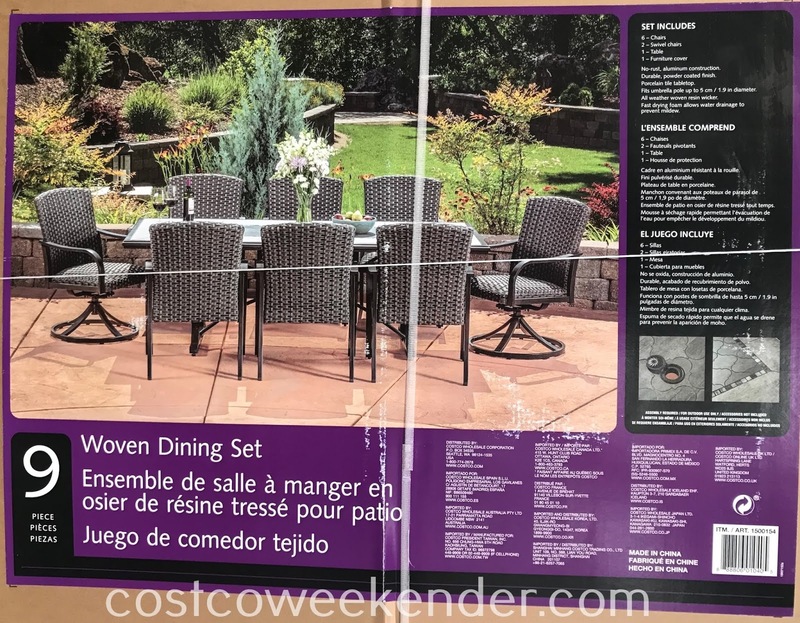 The set is made of an all-weather woven resin wicker. 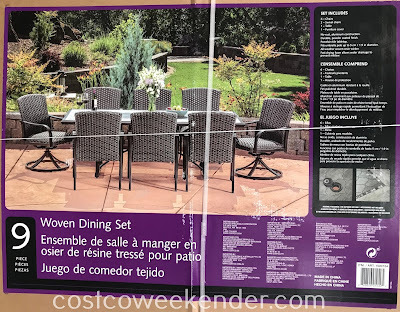 I have a smaller patio set made of a similar woven wicker and it has withstood the elements well for the past 3 winters. 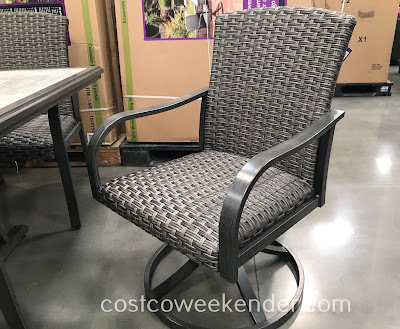 Just make sure that spiders don't make a home in the crevices of the wicker. I see wicker as the modern-day version of rattan that I used to see in my grandparents' patio, but very durable and easy to keep clean. 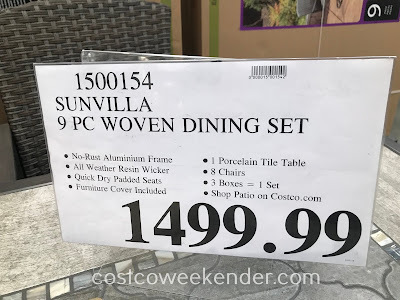 So if you're planning on throwing a few barbecues this summer, upgrade the way you entertain with the Sunvilla 9-piece Woven Dining Set.